Great parking and no problems, will use again. 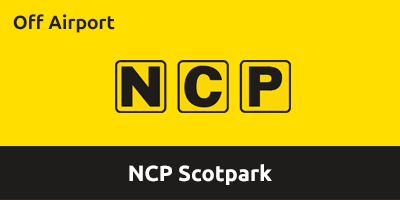 If you’re flying out of Edinburgh Airport then NCP Scotpark makes the ideal airport parking solution. It’s located just a five minute transfer ride from the terminal building so it’s perfect for anyone not looking to stray too far from the airport grounds. Just drive to the car park, find a space then hop on the transfer bus – you’ll also get to keep your keys. This easy-to-use car park is a great option for anyone travelling from Edinburgh Airport. The free shuttle bus service runs approximately every ten minutes and will take you to the airport terminal coach park in around three minutes. The car park is manned 24 hours a day and features; CCTV cameras, entry and exit barriers and the Park Mark Safer Parking Award. Wide space disabled bays are available if required. Assisted loading and unloading is also available upon request. NCP Scotpark operates 24 hours a day, 365 days a year. This car park does not accept vans, minibuses, motorhomes, caravans and trailers. Vehicles must fit in a standard size parking bay. When you arrive please be aware that this car park now uses Automatic Number Plate Recognition (ANPR) technology. The machine will issue you a ticket automatically. If no ticket is issued, please press for assistance. Then catch the courtesy bus to the terminal, from outside the customer services office. Keep your ticket with you. At the exit barrier, please insert your ticket so we can validate your booking and raise the barrier. If you have overstayed your booking, your additional charge will be displayed, which you'll need to pay. If the barrier does not rise, please press for assistance.